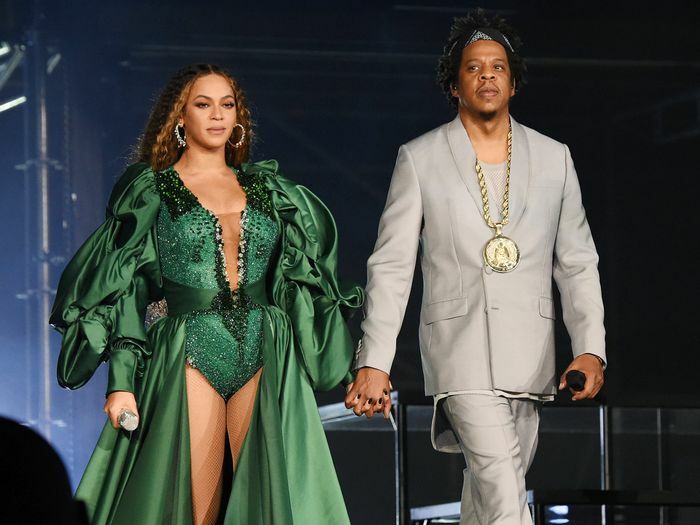 Beyoncé headed to South Africa to support a cause close to her heart: the Global Citizen Festival, which honored the 100th anniversary of Nelson Mandela's birth and raised money for a slew of charities. Beyoncé wore six different outfits for her performance, each as jaw-dropping as the next. But as we've come to expect from Queen Bey, there was much more to the looks than meets the eye. Mary Katrantzou created a symbolic outfit consisting of a bodysuit, over-the-knee boots, and coat that spoke volumes beyond their sartorial dominance. "Her coat has the 54 countries of Africa mapped out and on each country, there is a different embroidery representing its diversity," Katrantzou wrote on Instagram. Beyoncé's mom, Tina Knowles, also took the opportunity to revisit the story behind what Beyoncé wore when she met Mandela back in 2004. "We decided two hours before the finale with Mr. Mandela, that she should have an authentic African fabric dress," Knowles wrote. "Ty Hunter and me ran to the local market found this fabric fought traffic and drove back." Knowles went on to explain that she created the look in just 45 minutes, and it miraculously fit. How's that for a behind-the-scenes story? Scroll down to see everything Beyoncé wore to the Global Citizen Festival and to revisit her 2004 look. Next up: See which actress just got married in a pink slip dress.